When current Australian Communications Minister Malcolm Turnbull got dumped from the leadership of the Federal Liberal Opposition in 2009 for the heinous crime of supporting the then Rudd government’s attempts to price carbon and actually do something positive for Climate Change, Australia rapidly descended into a tragically farcical state of inaction towards changing its place as the highest emitter of Carbon per capita in the developed world. My sense is that, thanks to strong coverage in the lead-up to Copenhagen, a good part of the media supported environmental consciousness, leading to partnerships with WWF for the global action process embodied in Earth Hour, celebrated in the last week of March. Since that time, the business of selling newspapers has become harder. The financial constraints have continued to weaken the editorial resolve of the Fairfax Press to support positive efforts to inform the public of practical steps for their own personal part in reducing carbon emissions. Gone are the 4-page Earth Hour lift-outs. This year there was hardly a mention. Editorial close times for the Sun Herald Sunday newspaper in Sydney are now as early as 9.30pm, making it almost impossible to report on something that gets under way at 8.30pm. I am grateful that The Sydney Morning Herald at least reviewed Flannery’s new book ahead of publication a couple of weeks ago, on August 15th. For many it is up to the online The Guardian Australia to provide us with factual reporting on Climate Change, initiated by former editor in chief, Alan Rusbridger. Happily his successors are continuing on the mission he instigated. The Climate deniers have had the full support of the Murdoch press and Fox News. We are led by a Prime Minister (Tony Abbott) who famously said to a Victorian audience in Beaufort in October 2009, that “The climate change argument is absolute crap; however the politics are tough for us because 80 per cent of people believe climate change is a real and present danger”. He has since said that this was hyperbole and not his considered position. His 2010 interview on the ABC’s 7.30 Report with host Kerry O’Brien is very telling. It reveals Abbott’s position-movement, his shifty evasion of accepting that he misinforms people constantly, focused on politics not science, focused on survival of economic entities in mining, focused on getting back into office. He does not appear to embrace the global community. (ABC Television 7.30 Report, February 2010). That transcript speaks volumes on our Prime Minister’s apparent lack of conviction about almost anything, actually, with the possible exception of the plight of Aboriginal peoples. He is more comfortable saying no, or looking backwards to what he perceives as a simpler world. That world is no more. If you talk to everyday Australians close to the 80% of people who in 2009 thought Climate Change was real and wanted to do something about it, they still want to. 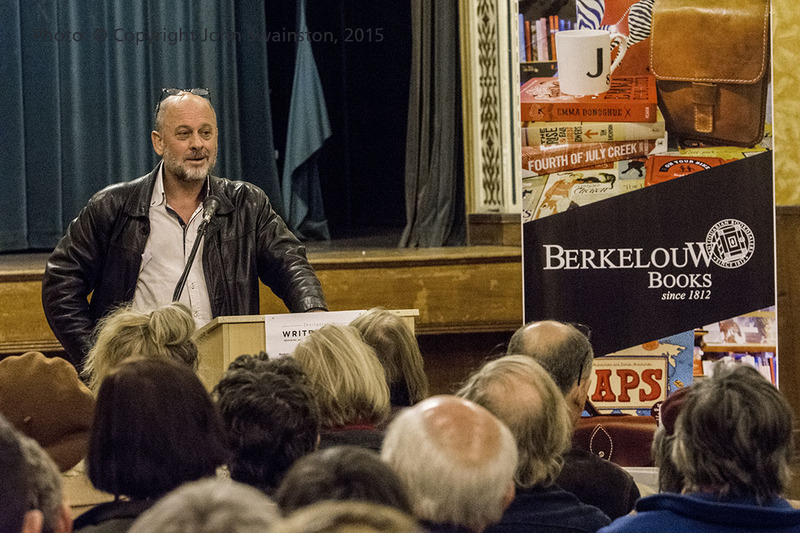 180 people sold out a Berkelouw Books-sponsored speaking event last night to launch Tim Flannery’s new book. 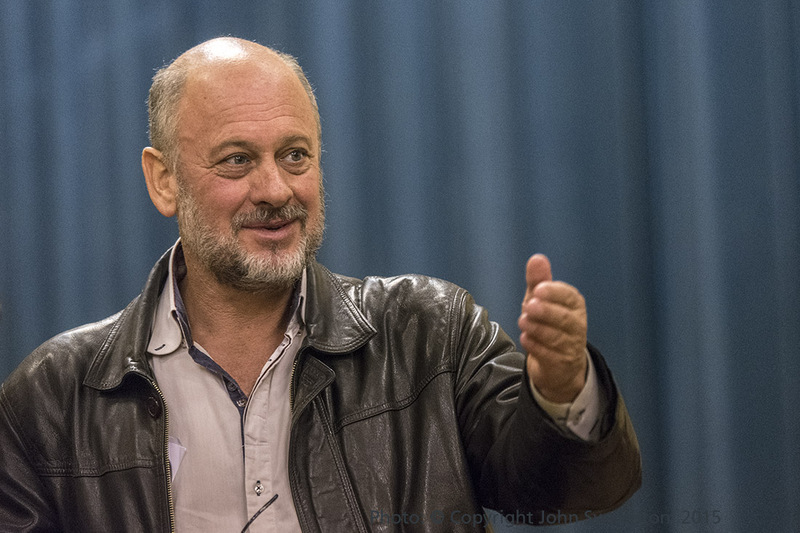 Flannery explores a new Third way, (he calls it) of emerging technologies to claw back some of the ’40 gigatonnes of CO2 out of the atmosphere’ that humans released in 2014. Whether it’s through reduced emissions in energy, transport, cement production, agriculture, mining or industry, people are eager to do their bit. They know it will not be pain free. But it also won’t take us backwards, as Prime Minister Abbott and some of his Coalition front bench would have us believe. Science keeps delivering ways for us to achieve a reduction in human carbon emissions at ever more economically viable levels. But our leaders seem incapable of sharing with us the practical things we can do, facilitating the next steps and squaring up to the reality that there will be some pain. Australia is one of the few countries without a planned automobile efficiency target. In Europe people accept that. 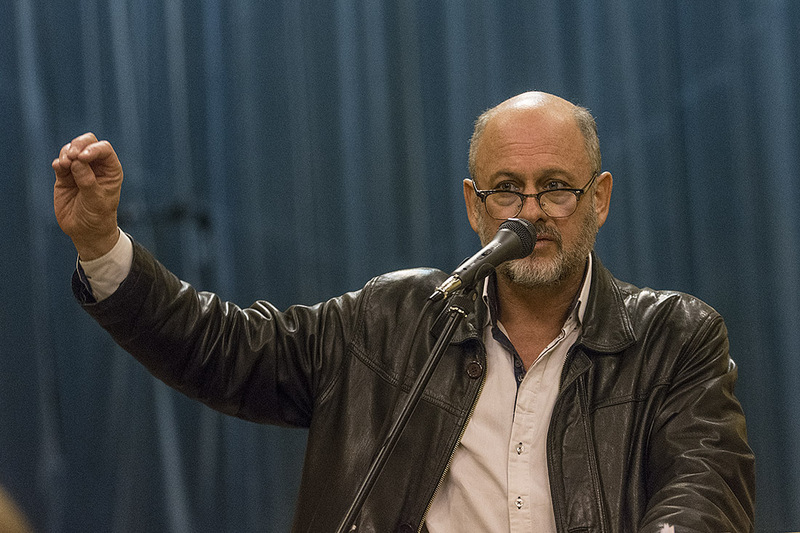 Tim Flannery addresses an audience question at Erskineville Town Hall, launching Atmosphere of Hope. Fleet petrol-consumption averages have almost dropped by one third in both the USA and Europe since Federal and EU governments introduced them decades ago. They don’t have Prime Ministers who cut funding for Wind farms because they are “ugly”, but approve giant subsidies for possibly the world’s largest coal mine in Queensland that will be a blight on the environment for thousands of hectares. I can only surmise that Party Political Politics, in Australia at least, and much of the rest of the world by observation, is gradually failing. Organisations like Get Up and mass democracy through Social media may in fact be the new way to move forward. They are the new Town Hall – instant, powerful and trending. But they must be born of conviction, not fashion, they must be backed by fact not opinion, and they must serve the common good, not the self-interests of unelected corporations. In my circle there is an atmosphere of hope. 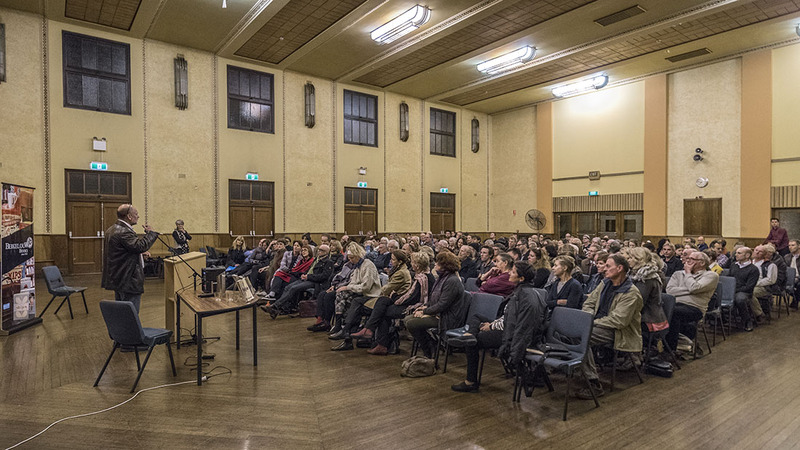 I witnessed it at a meeting of dozens of different bodies gathered together in Erskineville Town Hall last Saturday morning as they started to plan for The People’s Climate March, to be held in Capital Cities around Australia on November 29th. It is to send a huge message of HOPE to our nation. There ARE people who care. Get in touch with me if you want to get involved or can bring ideas and actions to support us. Post a reply or comment here, below this blog. I saw old and young, left and right, student and teacher – all united with a common purpose. To send a message of massive anger by the Australian people that the 26-28% carbon reduction target being offered to the Paris Climate Conference by the Australian Government is not at all what most Australians want. It is just not good enough. And we want the world to know that our leaders do not represent what we think on this, but we are with the leaders of the world who are about change. Everyday Australians from all walks of life want to venture into real climate solutions and not assume a world of secure business as usual backed by ever more coal mines. It is exciting and encouraging. At the 2016 Federal Elections we’ll need leaders and candidates who understand this new world. Those advocating less than a real plan of action to fast-reduce CO2e emissions to zero (which include methane) by 2050, supporting carbon mitigation and capture technologies as new industries for our future, will deserve to be thrown from their seats. Something quite different will follow. Because a new group of elected people who stand for real change, real action and are prepared to accept the responsibility to do something for future generations, at some cost to all of us (nothing in life actually comes free), may be sitting in the halls of Canberra holding the balance of Power. Buy and read Atmosphere of Hope today. Start influencing others. Take action yourself, and make a personal difference. Without such actions there are possibly less than six generations of human lifespans left before our species and thousands of others are progressively wiped from the earth. Allow runaway temperature rise above two degrees by 2050, and your great grandchildren may never be born! 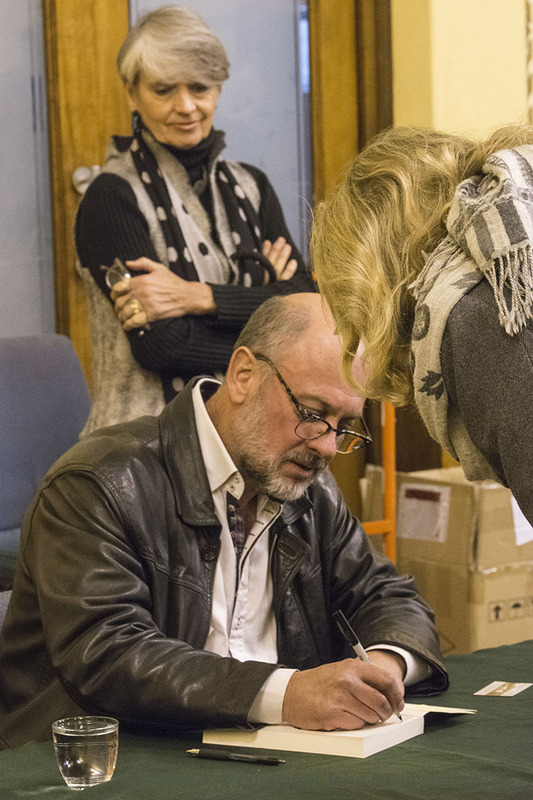 All text and pictures are © Copyright John Swainston 2015. Notify me on the People’s Climate March actions etc. Next Next post: Aylan Kurdi joins Kim Phuc in changing the world: Warning – Confronting Images.